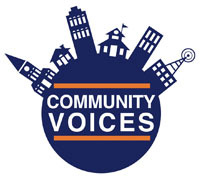 You are here: Home / Community Voices / What is Milwaukee’s new story? What is Milwaukee’s new story? Rick Deines, a conversation facilitator with The Zeidler Center for Public Discussion and a Milwaukee resident for 33 years, hopes to change the “dominant story” about Milwaukee. Dominant Story: Milwaukee is a divided city and region. The statistics reflect a deep chasm of opportunity among a variety of cultural groups— the gaps are great in employment, health, education, housing, and opportunities to better one’s life situation. New Story: Through an effort forged by local “community connectors” — churches, educational institutions, health and housing providers, and businesses — a story of a “generous and hospitable Milwaukee” is being written. It is an identity emerging from the grass roots and being imprinted on how Milwaukeeans from preschoolers to older citizens understand who they are. Dominant Story: Milwaukee has a plethora of well-intended citizens who are involved in significant individual and group efforts to bring some correction to historic gaps. Yet, while there have been improvements in certain areas, every day mixing of the lives among African-Americans, Caucasians, Asians, Latinos and others is rare in this city. Neighborhoods are seen as separate toeholds; suburbs tend to turn their back on the city. In too many cases, divisions exist within the separated parts as well. Attempts to address these challenges tend to operate in isolation from one another and perpetrate the silo mentality. New Story: Neighborhoods take pride in their local community while purposefully linking with communities across the region, including the suburbs—joining in developing a new story for the next generation. Common ground is found in caring for the environment, decreasing the punishment and promoting employment for low-level offenders, and using proven educational methods that prepare students for more than subsistence living. Dominant Story: A narrative for moving forward is not being championed by political, cultural and community leaders. Again, individuals champion certain causes, but fall short of addressing the underlying needs in a comprehensive way. Piecemeal solutions are too readily accepted as the best we can do. The fact that our community is a connected system, within itself and outwardly with the region, seems not to be understood nor part of proposed solutions. Top-down models of implementing community change dominate. Successful local efforts are lifted up as exceptional and laudable, not signs of how structures can be transformed. New Story: Leadership from all facets of community life develop networks of organizations, resources, people and money dedicated to supporting the building up of the entire community. The value of investing in the assets of individuals and groups becomes a foundational principle for re-constituting the city. Dominant Story: The average person cannot effect change. The system is too powerful to penetrate without lots of people and money. We live in our stratified communities and rarely venture into the “stranger’s” territory. There is the Milwaukee for the tourist and the Milwaukee for residents who make tourism possible by working long hours for low wages and little appreciation. New Story: Regular conversations take place within and across neighborhoods, including but not dominated by the formal and informal power brokers. Everyone has a stake in the decisions that impact the daily lives of all Milwaukeeans. The community comes together in various formats to create stories, rituals and symbols proclaiming a new kind of citizen responsibility. Realities that reflect divisions in the community are faced through interpersonal interactions, resulting in better understanding and trust. Milwaukee becomes a community embracing its own mixed history and the nation’s spotted history. Milwaukee citizens, together, use these new understandings and gifts as a sign of possibility for others in the state, country and world. 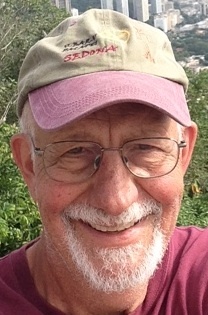 Note: The suggestion to describe a city using “dominant story” and “new story” comes from John Ikerd, Professor Emeritus, University of Missouri, who writes and speaks about sustainability. Nice to see some new paradigms. We certainly need it.